As reported recently, the upcoming offshore wind tender in the Netherlands will also have a zero-subsidy round, just like the one before it. 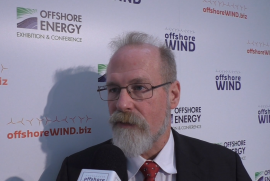 According to Hans Timmers, Chairman of the Netherlands Wind Energy Association (NWEA), the level of the electricity price, growing market and stable demand and supply make up the grounds for holding a subsidy-free tender. 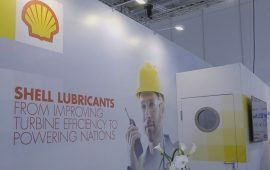 Keeping pace with offshore wind is not only on top of the list for the supply chain that delivers its products and services to the fast-growing industry, but also for the sector in its entirety in terms of people working in it and the need for (more) offshore wind professionals. With wind energy to make up for around a third of global electricity production by 2050, there is a strong case for energy suppliers to be part of that energy landscape. Bibby Marine Services plans to have up to 30% share in the Service Operations Vessel (SOV) market, roughly corresponding to a fleet of five to six SOVs by 2025, the company’s CEO Stephen Bolton said. 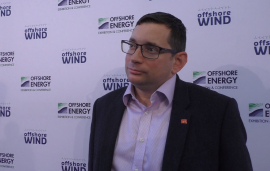 Offshore wind will be extremely important to Red7Marine going forward, and the new Eurojack 3923 barge is seen as an ideal bridge to renewable energy industry, Nick Offord, Managing Director at Red7Marine, said. 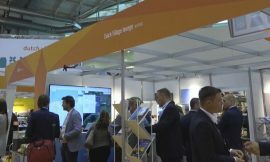 Turnkey solution approach is one of the ways the power cable industry can help the offshore wind industry achieve further cost reductions, Leo van der Pols, Business and Sales Development, NKT, said. Land reclamation works on the site of the Offshore Center Rotterdam were started without any client commitment because the port believes the center will be in demand with the offshore wind industry, Joost Eenhuizen, Business Manager, Maritime & Offshore Industry at the Port of Rotterdam, said. 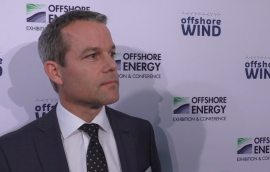 Vattenfall’s three Danish offshore wind projects are progressing on schedule following the order of wind turbines from Siemens Gamesa Renewable Energy, Gunnar Groebler, Senior Vice President Business Area Wind at Vattenfall, said. Jan De Nul’s jack-up vessel Vole au vent has been undergoing certain modifications to the layout of the deck prior to heading out to the Borkum Riffgrund 2 offshore wind farm, Carl Heiremans, Jan De Nul’s Senior Business Development Manager, said. 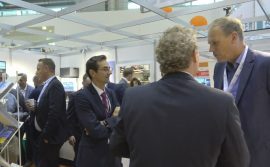 A Dutch start-up Offshore Wind Innovators is gaining momentum and has reached its goal to attract 100 companies to join the network by year-end, as Martin Weissmann, Innovation Manager at Offshore Wind Innovators, hoped for. 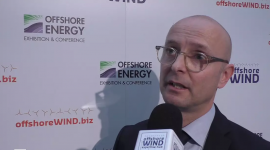 Cost reductions in the offshore wind industry will continue and we expect to see a further 30 percent cut to the current Levelised Cost of Energy (LCoE) by 2030, Mike Blanch, Associate Director, BVG Associates, said. 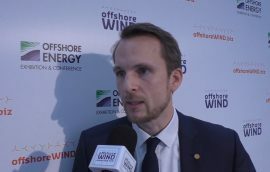 Zero subsidy offshore wind projects leave the actual electricity price as the only source of income and it is quite difficult for traditional investors such as banks to finance these projects, because that would mean that the banks lending the money must agree to take on the merchant risk, said Christoph Mertens, CEO Summit Renewable Power Europe, a wholly owned subsidiary of Sumitomo Corporation. Ampelmann will introduce a new balanced gangway system, the S-type, in the first half of 2018, Jan van der Tempel, Ampelmann’s CEO said. Replacing a jack-up with a barge equipped with a Blade Exchange Tool to remove and install blades and other turbine components offshore leads to significant cost reductions, Guido Vletter, Project Engineer at Temporary Works Design (TWD) said. Barge Master’s new gangway system developed in cooperation with Bosch Rexroth offers continuous access for personnel and cargo and has so far performed excellently on the Walney Extension offshore wind farm, Martijn Koppert, CEO of Barge Master, said. Setting up a pre-assembly and logistics facility at BOW Terminal Vlissingen allows us to be closer to Dutch offshore wind zones where we see a potential pipeline of projects, Bo J. Bjerregaard, Director of Pre-Assembly & Logistics at MHI Vestas Offshore Wind, said.